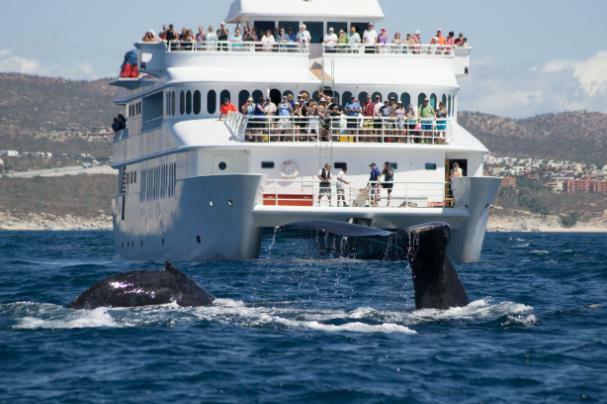 What is the best type of boat for whale watching in Cabo San Lucas? 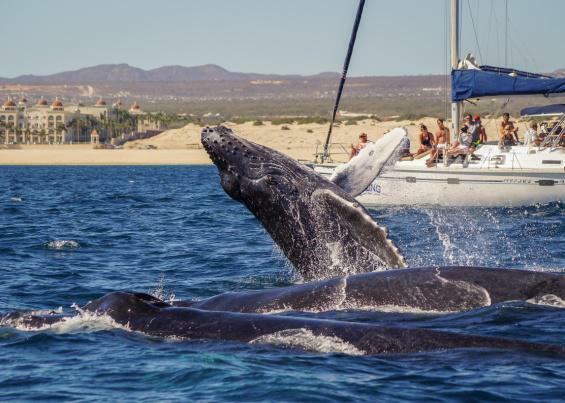 There are many choices for whale watching companies these days and each of them has a slightly different approach to finding and watching whales in Cabo San Lucas. Since you will be spending 2.5 hours or so out on the ocean, it is very important to know what kind of boat you should be spending your time and money on for the best whale watching tour possible. Here is some information to think about and to better inform you in your decision making process. First things first, there are several questions to ask regarding the whale watching tour, depending on where in the world you are whale watching. What is the climate and temperature in the region I will be whale watching? Knowing this will help you determine if you will need shade in sunny places or an indoor viewing area in very cold climates. How long will I be on the water? 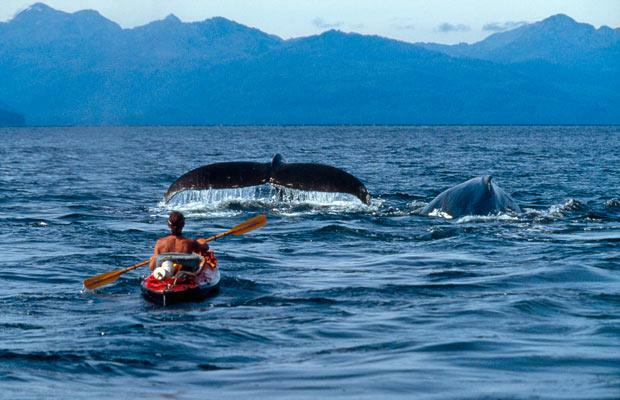 Depending how long you will be on the water will determine if a small boat is adequate for whale watching or if a larger vessel carrying more passengers is ideal. How far from shore will we be going to find whales? This goes hand in hand with length of tour, the farther from shore you will be travelling, the bigger the boat required for the excursion. Are there any necessary amenities I need on my vessel? Everyone is different and boats without some amenities are just a deal breaker. These include but are not limited to: shaded canopy, cushioned seats, toilet onboard, food & drinks, hydrophone, etc. 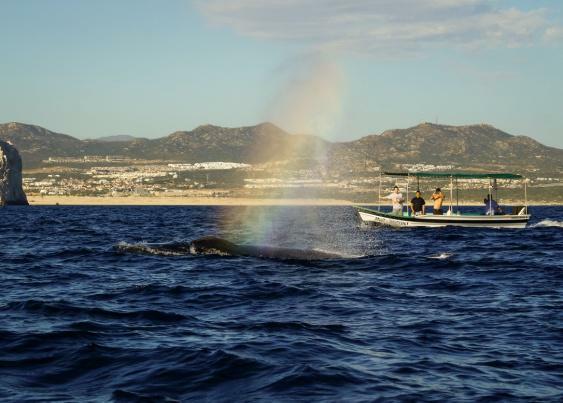 Now that we have gathered some information regarding the trip and what you will need for it, now we can move on to the boat options available for whale watching in Cabo San Lucas. Pros: Audio System, Shade, No Wind Restrictions, Food & Drinks onboard, Marine Toilet, Cost Effective. After looking at all the options, you should be able to make an educated decision depending on where in the world you’re watching whales and what specific amenities you are looking for on your tour. Here in Cabo San Lucas, we have very moderate weather, with warm temperatures year round and 350 days of sun a year. The first thing that this screams to me is “I NEED SHADE!” The strength of the desert sun here can be pretty brutal and spending 2.5 hours on a boat with no shade could be a vacation spoiler for some. As well, I enjoy having space to move around comfortably, as opposed to being cramped in like sardines next to 30 or even 100 people who you don’t know. 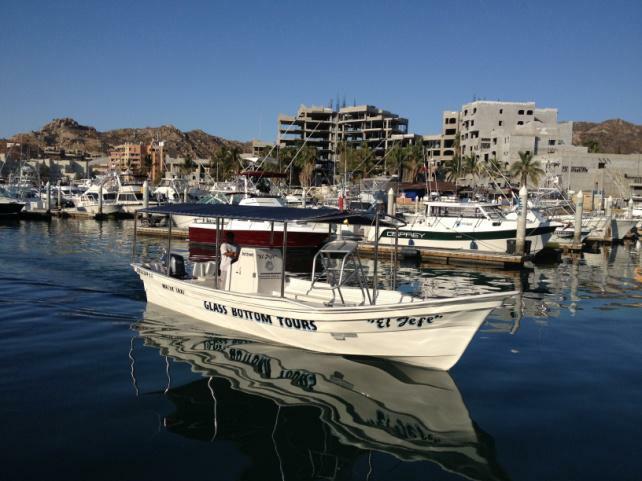 Cabo Trek is the ONLY educational whale watching tour with a 32’ super panga fully equipped for the job of high quality whale watching. Complete with shade, cushioned seats, audio system, hydrophone, marine toilet, marine biologist and professional captain. Our onboard crew brings over 20 years of maritime experience to the tour, leading to many incredible encounters including whales, sharks, birds, turtles, manta rays, baitballs, dolphins and much more! 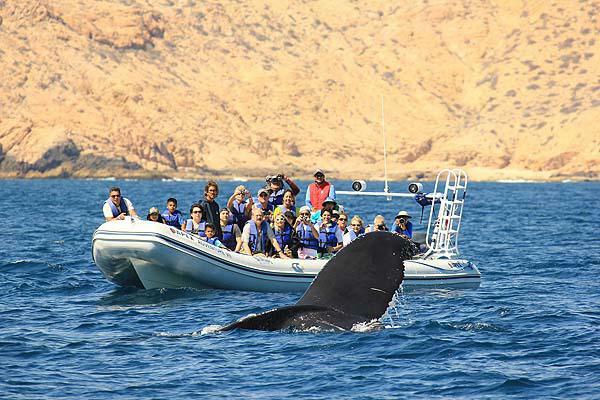 We are not your average whale watching tour. We offer whale watching of the highest quality for those that only want the best!